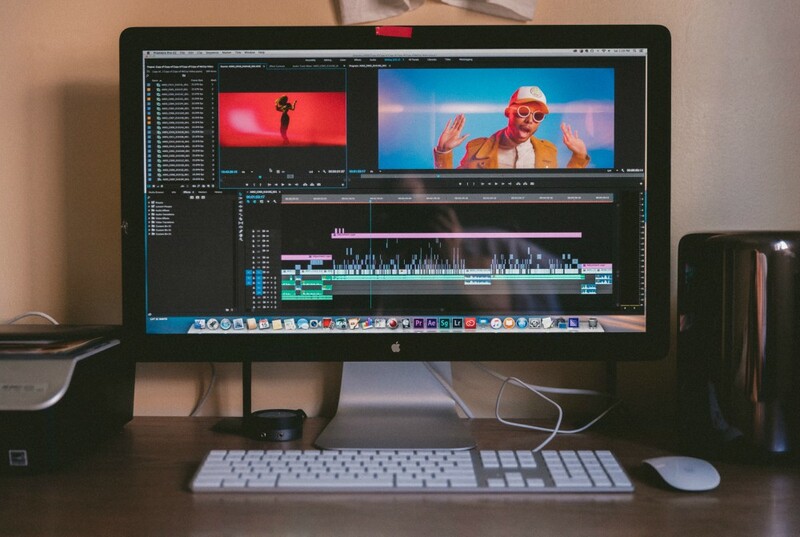 Our holiday gift series continues with a suggestion for the “jack of all trades” content creator: The YouTuber. 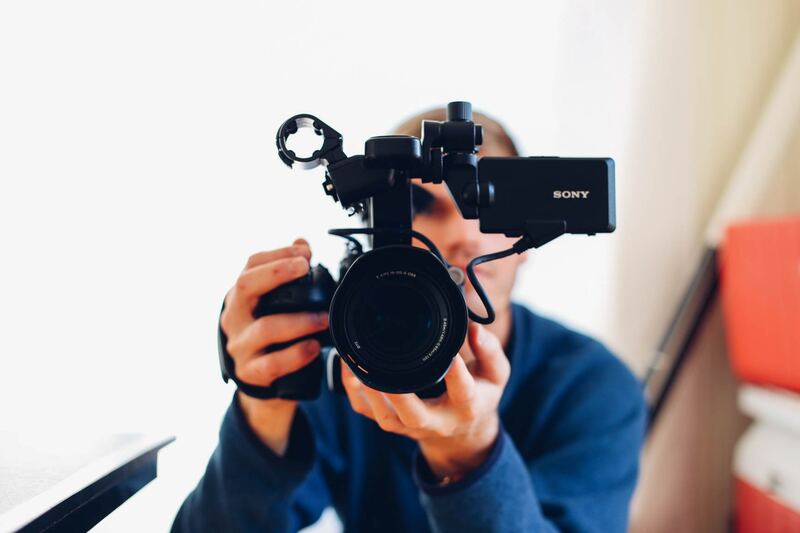 Whether one just made their first upload or have had a channel since the birth of the platform, YouTubers quickly learn that they must possess a number of production skills, like filming, editing, producing, and writing. Having tools that can get the job done quickly while providing a high-quality end result can make the entire process fun and hassle-free. 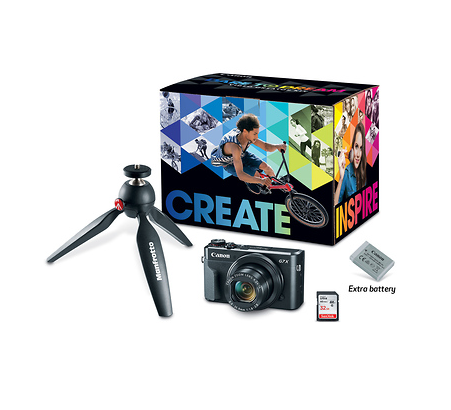 For the YouTuber in your life, Samy’s Camera has the perfect gift suggestion that’s sure to take their channel to the next level in 2018. Many YouTubers get their start by shooting on smartphones. However, video and sound quality can be limited. On the other hand, especially for vloggers, carrying around a bunch of cumbersome gear presents its own issues as well. This kit from Canon was designed with the YouTuber in mind. While compact, the kit packs a filmmaking punch that is perfect for the YouTuber that’s either looking to get started or looking to upgrade their current gear. 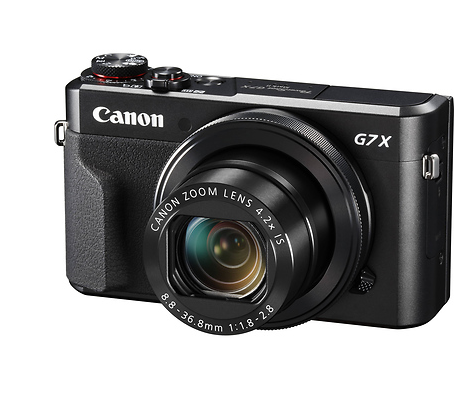 Ideal for travel, events and anywhere on the go, or as a secondary camera, the Powershot G7X features a high-performance 1.0-inch 20.1 Megapixel CMOS sensor as well as a bright f/1.8-2.8 lens to help capture impressive images whenever your creativity sparks, even in low light conditions. Equipped with Full HD capability, built-in Wi-Fi and NFC and in-camera RAW conversion, this camera gives you everything you need to capture inspiring images and video and share them with ease. This kit also boats a Manfrotto mini tripod, 32G memory card, and an extra battery. 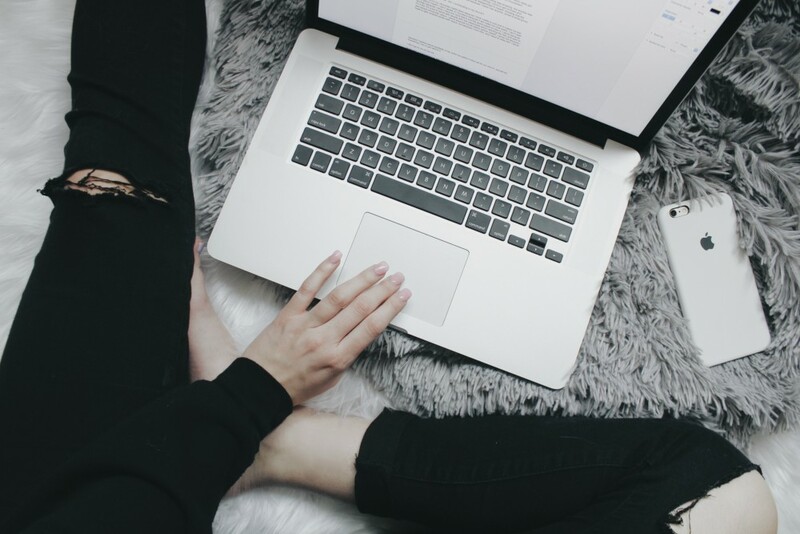 Your gift recipient gets everything they need to create quality videos; Your holiday shopping just got way easier with this one-stop solution. It’s a win-win! Check back tomorrow as our Holiday Gift Series continues! 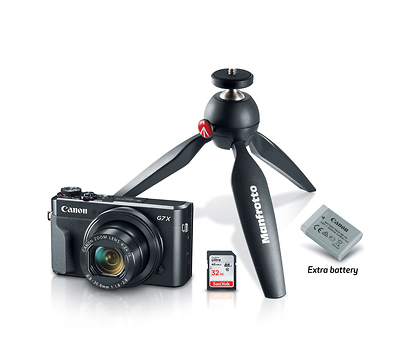 Purchase the Canon Powershot G7X Video Creator Kit.